With its purchase of Whistler Blackcomb, Vail Resorts becomes North America’s largest resort operator. But what does the deal mean for the king of Canada’s ski hills–and the pricey mountain town living in its shadows? In early August when news broke that Whistler Blackcomb, ranked North America’s number one resort by U.S.-based Ski Magazine, had been sold to Vail Resorts Inc. for $1.4 billion, there were mixed reactions—from concern over what merging two blockbuster brands might mean for the already-crowded mountain town to excitement about the potential for future growth. 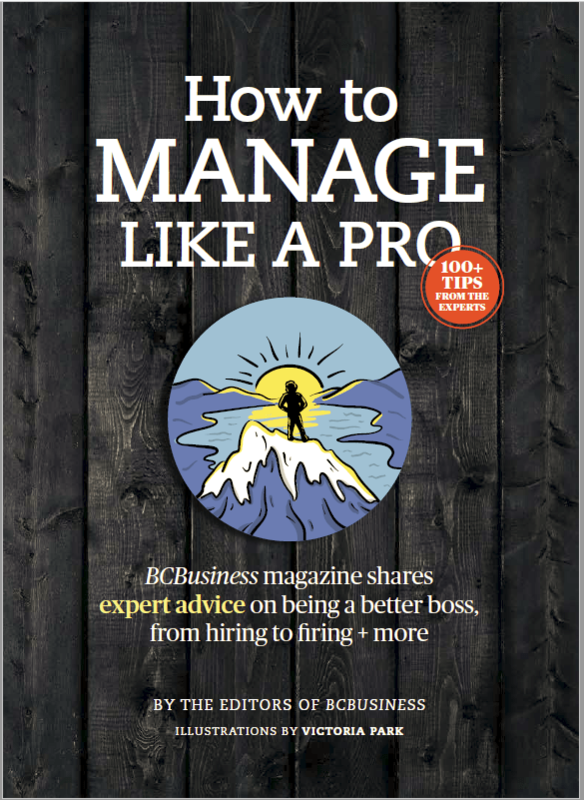 However, ownership announcements from Whistler Blackcomb’s head office no longer shock Peter Smart, a former ski racer who moved to Whistler in 1991 and three years later founded the ski instruction and vacation company Extremely Canadian with his wife, Jill Dunnigan. 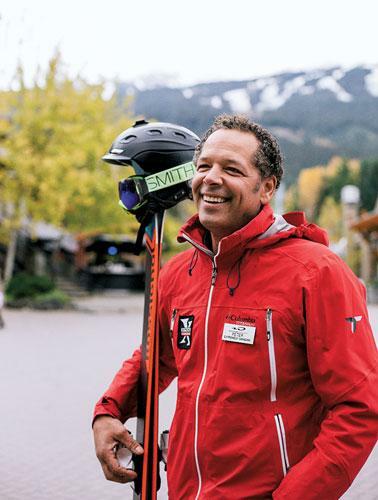 After all, Smart has experienced 25 years of change, including the merger of Whistler and Blackcomb in 2003, the highs and lows of various owners (including a near-death experience for the resort in 2006), the euphoria of the 2010 Winter Olympics and, now, the arrival of a ski-resort behemoth. There never has been anything subtle or small about either Vail or Whistler, however, whose corporate trajectories follow a similar pattern. Vail Resorts was born in the 1950s, when Second World War vet Pete Seibert and rancher Earl Eaton hatched resort plans for Vail Mountain. Over the following six decades, Vail grew into a North American resort empire—with the odd hiccup, including a 1985 bankruptcy. Apollo Management took the company public in 1997, and Apollo executive Rob Katz stayed on to lead Vail Resort’s growth. Today Vail’s holdings include the flagship Colorado property, along with Breckenridge and Keystone, three resorts in California’s Lake Tahoe region, former Winter Olympic host resort Park City Mountain Resort in Utah and lesser-known properties in Minnesota, Michigan and Wisconsin. In 2015 Vail bought Perisher Ski Resort, Australia’s largest resort. Meanwhile, north of the border, four businessmen led by Norwegian immigrant Franz Wilhelmsen launched the Garibaldi Lift Company in the early 1960s and in 1965 opened Whistler Mountain. For much of its history, Whistler would compete fiercely with neighbouring Blackcomb Mountain (largely supported with taxpayer dollars), but in 1986, real estate developer Intrawest bought Blackcomb, scooping up Whistler in 1997 and merging the two operations six years later. Ownership of the now-megaresort changed hands again in 2006 when New York-based Fortress Investment Group bought Intrawest, but just three weeks before the 2010 Winter Games opening ceremonies, Fortress failed to make payments on loans, forcing Intrawest to divest its holdings. Canada’s premier resort—75 per cent owned by the publicly traded Whistler Blackcomb Holdings—was ripe for the pickings when Vail came knocking earlier this year. Whistler Blackcomb represents the 13th resort in the Vail empire and now makes it the largest ski resort owner in North America. Management on both sides of the deal (which was expected to close this fall after it received shareholder approval and sign-off from Investment Canada) are calling it a win-win for everybody involved. Despite challenging conditions throughout the industry, both partners are experiencing impressive numbers of late. Last season Vail Resorts Inc. clocked 11.1 per cent and 19.4 per cent increases in visitation and lift revenue, respectively, while Whistler Blackcomb saw 2.16 million visitors, up 22 per cent from the same period last year (corporate revenues were $278.8 million for the first nine months of 2016, up 22.9 per cent year-over-year). Whistler Blackcomb spokesperson Lauren Everest credits increased marketing, $54 million in capital improvements over the past four years and a strong snow year for the increase. While the low Canadian dollar was not a key factor in Vail’s decision to enter the Canadian market, according to Katz, the CEO does view the purchase as a hedge against future currency fluctuations, allowing Vail to benefit both when the Canadian dollar is low—and Canadians ski at home and Americans are travelling north—and vice versa, when the loonie is high and Canadians head south to ski. Katz also hopes the deal will enable Vail and Whistler to make inroads into each other’s foreign skier markets: Whistler’s expertise with the Asian market and Vail’s strong Latin American focus, particularly in Brazil and Mexico. As for what changes locals and visitors can expect from the new owners, Katz says Vail’s influence will be more behind the scenes—mostly in the form of financial and strategic resources. Critically, Vail has pledged support for Whistler’s planned $345-million Renaissance: a six- to-eight-year project that includes new lifts, on-hill restaurants, snowmaking, revitalization of Blackcomb’s base area, a six-star boutique hotel and the development of between 55 and 65 ski-in/ski-out townhomes on Blackcomb Terrace. The plan—which is estimated to bring in as many as 400,000 additional annual visitors—also calls for some climate-change weatherproofing, with the addition of outdoor and indoor activities and adventure parks. Approval of the plan is contingent on successful negotiations currently underway between Whistler Blackcomb, the province and the Lil’wat and Squamish First Nations, which Vail’s Katz says he fully supports. 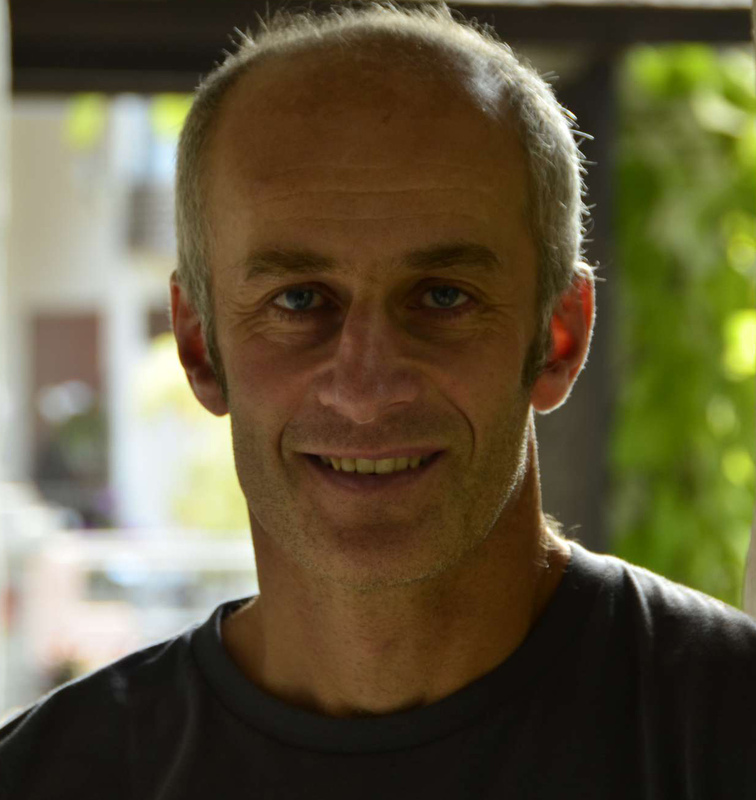 Christopher Nicolson, CEO of the Canada West Ski Areas Association, sees the Vail deal as providing widespread opportunities for all his members, not just Whistler Blackcomb. And that, says Nicolson—who spent 20 years working in tourism and marketing at Sun Peaks Resort—is good news for an industry where most resorts are happy to reach 50 per cent occupancy in a given season. Bigger is definitely the way of the future for North America’s resort business, according to many observers. At the 2015 Snowsport Industries America tradeshow in Denver, keynote speaker Bill Jensen, a former Intrawest executive and now CEO of Telluride Ski and Golf Resort in Colorado, predicted that of the 470 ski areas left in the U.S., 150—what he called the “sunset” resorts—would ultimately fail. Jensen pointed out that 10 “uber resorts” (in other words, the Vails and Park Cities of the industry), along with 35 second-tier “alpha” resorts, now account for 40 per cent of the ski business in the U.S.
Whistler Blackcomb is not the only iconic ski resort in B.C. set for a change of ownership. On September 19, Grouse Mountain on Vancouver’s North Shore was listed for sale with commercial real estate company CBRE Canada. During 40 years of ownership by the McLaughlin family, Grouse evolved into a four-season operation, with not only skiing and snowboarding but also sightseeing, hiking and grizzly bear viewing at the mountain’s wildlife refuge. At press time, CBRE had not publicized an asking price for Grouse, which includes all infrastructure and 1,200 acres of private land, but has said it is expecting national and international interest in the property. Mount Washington Alpine Resort on Vancouver Island also changed hands last year, when Utah-based Pacific Group Resorts Inc. agreed to buy the hill in November 2015 from a private group led by Campbell River logging contractor George Stuart (the initial asking price was rumoured to be $30 million). The sale followed two dismal seasons when the resort had to open late, close early or both, due to a lack of snow—a troubling turn of events for a resort that once smashed North American snowpack records (more than 18 metres as recently as 2010-11). Mount Washington joined Pacific Group’s portfolio of three lesser-known American properties: WISP in Maryland, Wintergreen Resort in Virginia and New Hampshire’s Ragged Mountain. Mark Fischer, executive vice-president of resort investment and brand development for Pacific Group, says his company plans to introduce snowmaking and invest in four-season attractions to boost revenues (a lift-accessed mountain bike park was reopened after Stuart’s ownership team closed it in 2013). “I’m not in the business of putting down other ski resorts, but public companies usually grow through acquisition and consolidation and ultimately have a duty to shareholders. You tell me if that’s good for keeping skiing affordable and community-focused. What I’m saying is that Red is one of those places that are memorable and unique, and I see myself as a custodian of that,” says Katkov, adding that Red’s 2015-16 season was its biggest revenue-earner on record. While the crowdfunding model might work when you’re in need of $5 million, the challenge is a bit different when you need hundreds of millions of dollars to pursue capital projects on the scale of Whistler’s Renaissance. So too is the challenge for residents living in the shadow of a “world-class” resort with global ambitions. Unlike Rossland, where traffic is nonexistent, a house can still be bought for less than $300,000, and lift tickets at Red go for $89, Whistler residents grapple with perpetual traffic jams from Vancouver, a real estate market in which $800,000 detached homes are considered a bargain and $140-a-day lift tickets.